After a very successful series of dyeing workshops at our studio in the Phoenix Park in Dublin we are delighted to announce two more. on pre-felts, wool fabric and nylon , which we will then steam fix . Participants will be able to paint up to 1 metre of fabric – we will try a little experimental fabric printing also. Price includes all dyes + equipment as well as tea, coffee + biscuits. 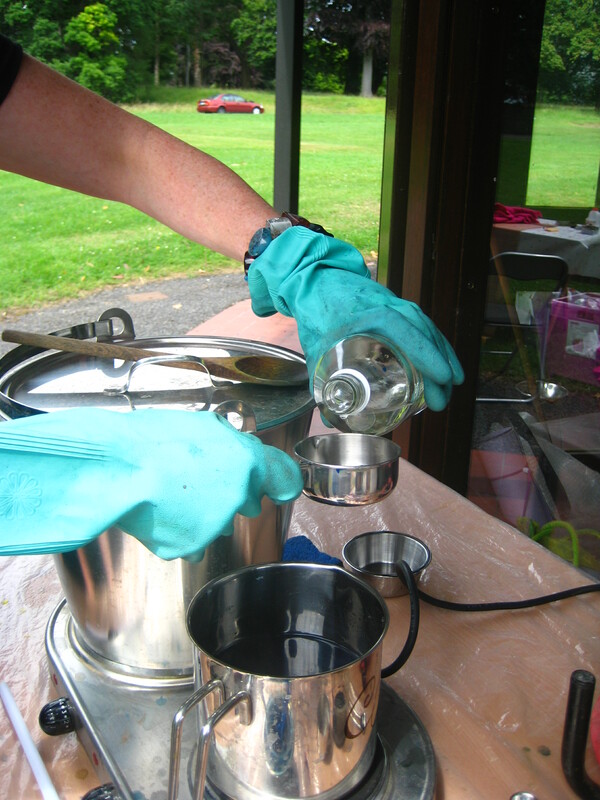 Using the ancient blue dye and a traditional vat , watch your fabric change colour before your eyes as the air hits it! The dyes also takes very quickly so you will be very productive! amazing effects. Indigo will dye natural fabrics like silk, cottons, linens, viscose, ramie and wool very successfully. Participants will provide their own fabrics. The price includes all dyes + equipment as well as tea, coffee + biscuits. We recently received notice from Sigrid Bannier, chairperson of the German Feltmakers Association, about an exhibition they are organising. Filzkunst aus Göttingen’, organizes a felt exhibition titled “…in Motion” (“…in Bewegung). The exhibition will take place from February 17 – March 3, 2013 and will be opened with a vernissage. are equally informed in order to guarantee a broad public interest. Felters and textile artists from all over the world are kindly invited to submit their works to the selection panel. Both individual artists and groups of artists are welcome. * Recession Sessions are when we provide workshops at the lowest possible cost – €40 for the day which includes tea, coffee and all your dyes.